I interviewed Victoria Thomas from Team Fearlessly Me on her journey to her wedding! Here’s what she had to say. I am 28 years old and live in Beaverton, OR (outside of Portland). I am a veterinarian with a side hustle as a virtual health and wellness coach with Beachbody! My fiance's name is Riley and we got engaged on March 3, 2018! It was a total surprise to me even though we had been dating for 6 years and gone ring shopping twice. We had a trip planned to Jamaica in April and I figured he would do it there but nope! We were on a hike on the Oregon Coast and I was taking pictures and turned around and he was on one knee. SO surprised and it was incredible! :) We are getting married on June 29, 2019 (5 months from today!) in Salem, OR. It will be at Zenith Vineyards. 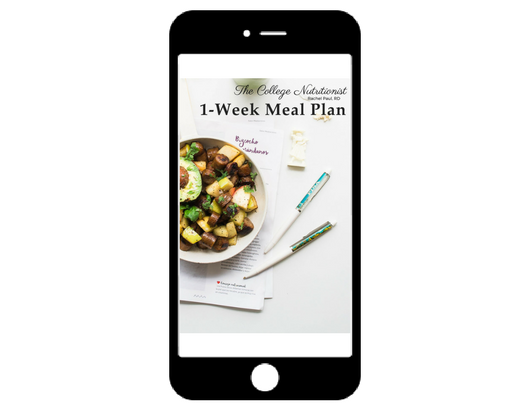 So I have been following a healthy, clean eating meal plan for almost two years now. It is based off of the Beachbody program. It is so simple and fits into my lifestyle so well. Right now I am doing a new program so following the plan very closely to push myself to be the healthiest version of me! I plan to do another round of this program (20 minutes on a step each day) and then move onto a 4 day/week program that lasts 30-40 minutes a day. It incorporates heavy lifting and HIIT with core work at the end and was what I did when I tried on my wedding dress for the first time. I loved how I felt in it then so I want to feel that way again come June. Although, I did try on my dress again for my first fitting a few weeks ago and still feel amazing in it. What's amazing about these programs I follow is that there is always something new to do so my body doesn't plateau! So long story short, I guess I have been prepping for my wedding for a while now just because I have been doing these workout programs for almost 2 years! But if you buckle down and follow the programs to a T, you can get some incredible results (drop 5-15 pounds) in 3 weeks! It is never too late to start prepping so don't worry! What has surprised you about getting ready for your wedding? I think the biggest thing (and the thing that I am most thankful about) is that I haven't had to change a lot of what I am doing to get ready for my wedding. I will make little tweaks here and there as it gets closer but I just keep following my workouts like I always have and know I will feel amazing at my wedding. And notice I say FEEL amazing, not look amazing. That is the most important thing is that you are happy with yourself and feel great, and the rest will fall into place. What would you recommend another bride to do fitness-wise to get ready for her wedding? I think you have to find something you enjoy doing or else you will quit. That was me before I started all of this. I didn't enjoy running or using the cardio machines at the gym and was afraid of the weight room. I enjoyed group fitness classes but could only go a few times a week due to my schedule. I found my at home workouts and have fallen in love with them and I think that this is a huge reason why I have stuck with them. There IS something out there for you! I promise, you just have to trial and error until you find it! Once you find something you enjoy, find a friend, your fiance, family member, whoever to help you stay accountable! Accountability is key for staying on track and getting you to workout when you don't feel motivated. Because believe me, those days will come! And it's normal. Any final tips or insight? I love to focus on self love because I think that is what life is all about. If you can truly love yourself (with its flaws) now, then everything else will fall into place. I work on it every day and by no means am I perfect, but I have come a long way. Personal development/self help books have helped tremendously (my fav is Mastering Your Mean Girl by Melissa Ambrosini). Follow Victoria Thomas from Team Fearlessly Me on Instagram at @victoria_thomas9!